Kylie, tell us about Kakadu Tiny Tots and your idea behind the business? We are essentially an aboriginal children’s boutique that supply unique clothing and gifts that have a strong regional Australian heritage, we supply these throughout Australia & overseas. Kakadu Tiny Tots was started as I saw a major gap in the market in terms of Aboriginal Baby & Childs wear – there was really no one out there doing it right. Additionally a major factor was the opportunity to showcase aboriginal people and show our creativity, especially highlighting our region of Kakadu. Our artists are mainly family including my mother who is also a traditional owner of Kakadu National Park, Dale Austin whose designs adorn our jumpsuits and rompers and also myself. How did your business idea come to fruition? Was it a long time coming? 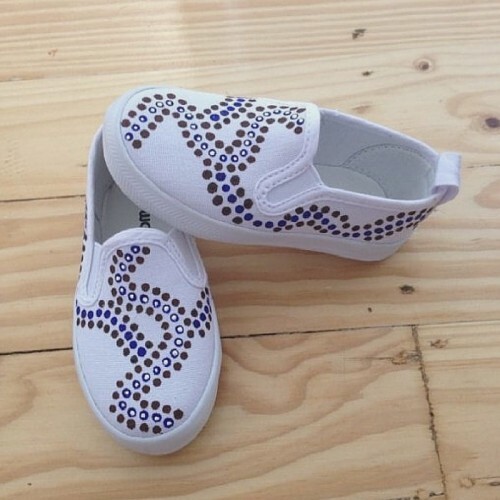 Initially we tested the market through social media and a strong marketing campaign to really see if my vision was shared and there really was an opportunity, one this was resounding confirmed we initially began to create our hand-painted shoes and began selling these; we had tremendous interest from this and really couldn’t keep up! We then began to contact prospective retailers and stockist and found the response on the whole very positive, we then began to introduce our first clothing design and have been updated and releasing new ranges and products ever since! 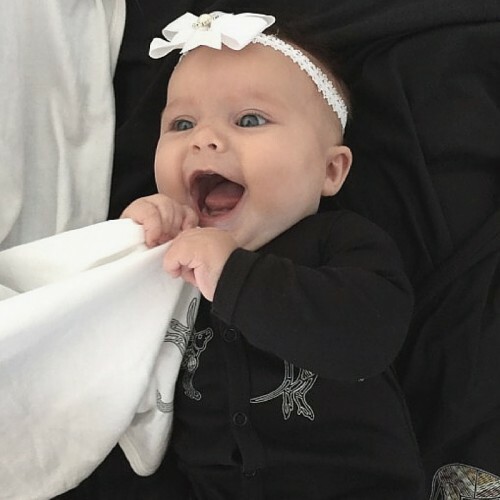 Your baby clothing is so gorgeous! Tell us about the inspiration behind the designs? My mother is my inspiration behind my designs. She is a traditional owner of Kakadu and has taught me from a young age my culture, heritage and how to paint traditional designs. Now that I’m a mother of 4 and running a full time business I hope Im an inspiration to my children. You grew up in Kakadu National Park in the Northern Territory, tell us about your connection to the land and how it has influenced Kakadu Tiny Tots? I grew up in a remote aboriginal community called Patonga. Its located in Kakadu National Park 50km inland from Jabiru in the Northern Territory. I have a extremely strong connection to our land which is reflected in our Kakadu Tiny Tots designs as they are all hand painted our bush. Kakadu is just alive with beautiful birds and wild life along with some of the most beautiful water falls in the world. We have just had a beautiful new baby number 4 Darby, she is just gorgeous. Being a mum and running a business is one of the hardest things I have ever done in my life. But if you focus on your goals and have a supportive family you can manage. Time management is the key. You were featured on Channel Ten’s Shark Tank! Tell us about your experience being on that show and how it has changed your business? Unbelievable!!! One of the best experiences of my life and a launch pad for Kakadu Tiny Tots! If you get a chance watch it on play back ten. 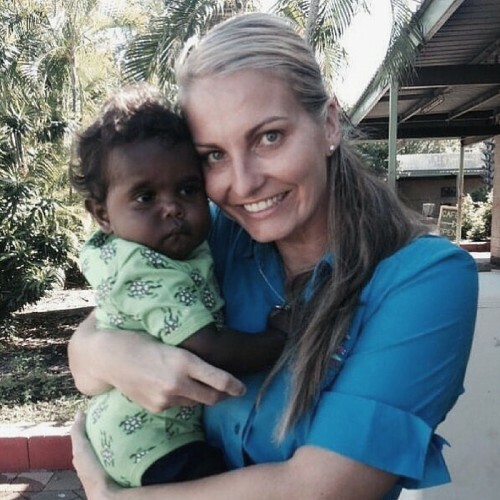 What do you see for the future of Kakadu Tiny Tots? We are looking in expanding into the overseas market and are in the process of expanding into skincare, baby care and organic food products all manufactured by bush ingredients, we have some really exciting products to be launched very soon.